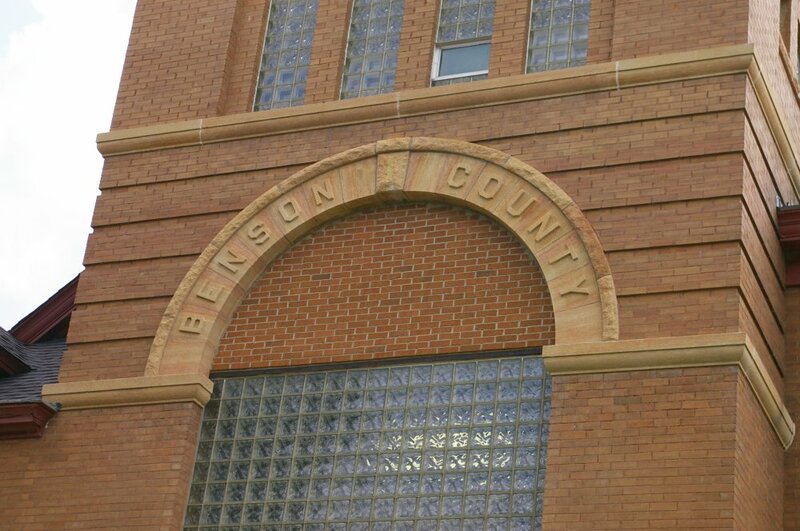 Benson County is named for Bertil W Benson, a Valley City merchant and land dealer who served in the House of Representatives. 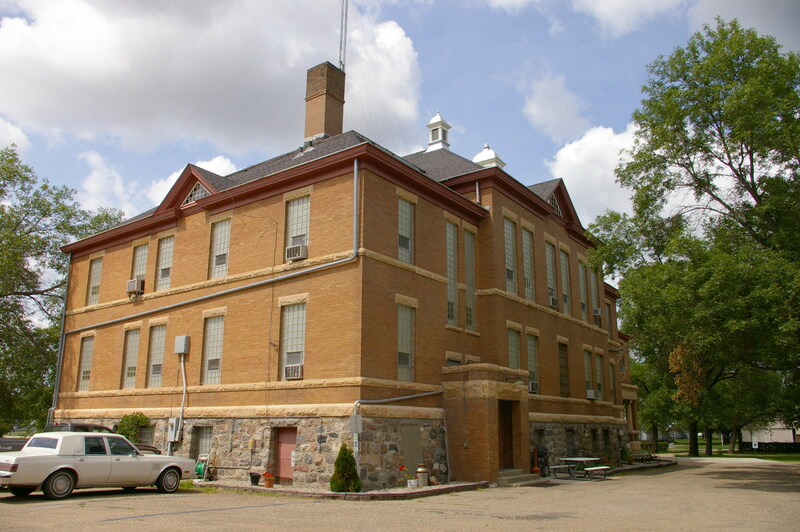 Description: The building faces north and is a two story brown colored brick and stone structure. 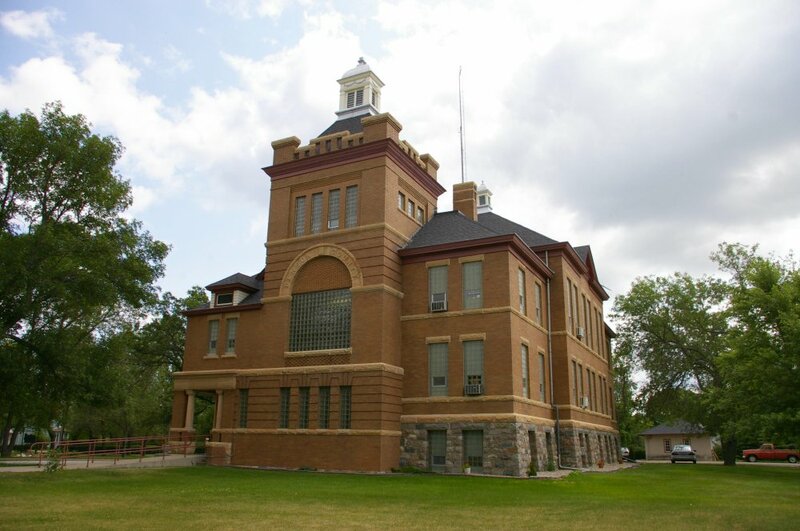 The building is located on spacious grounds in the center of the city The building has a course stone base. 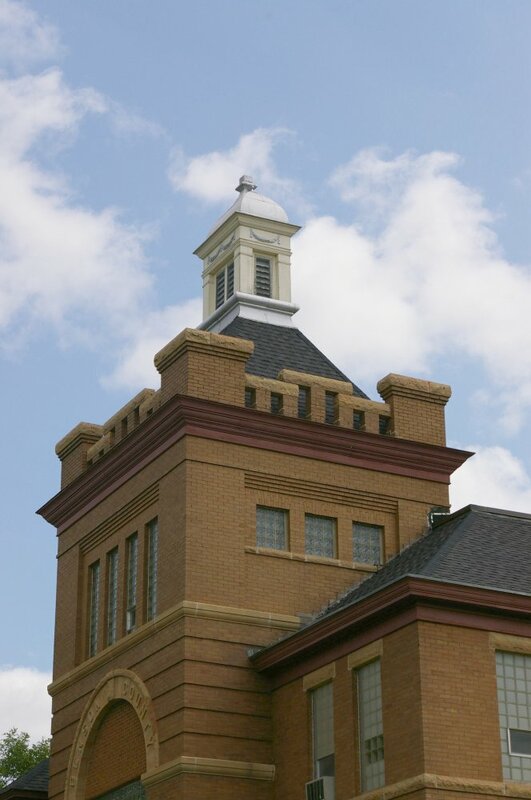 On the north side is square brick tower with a large arched window on the second story and topped by parapet, pyramidal roof a white colored wood cupola. 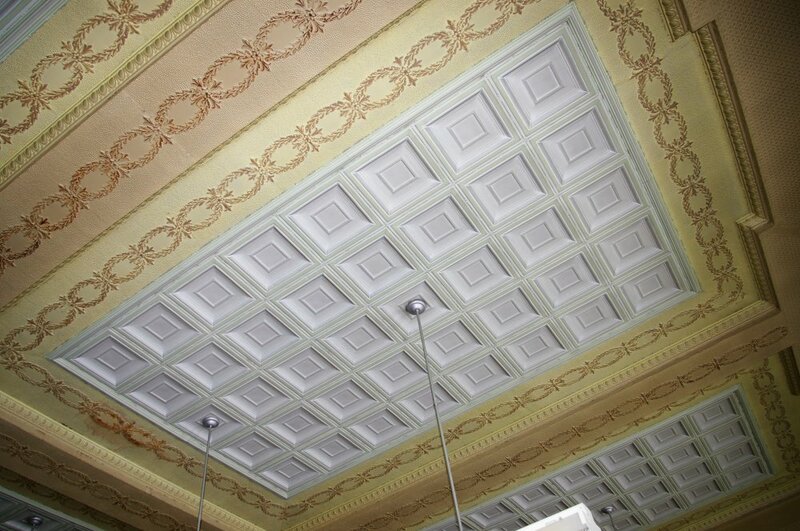 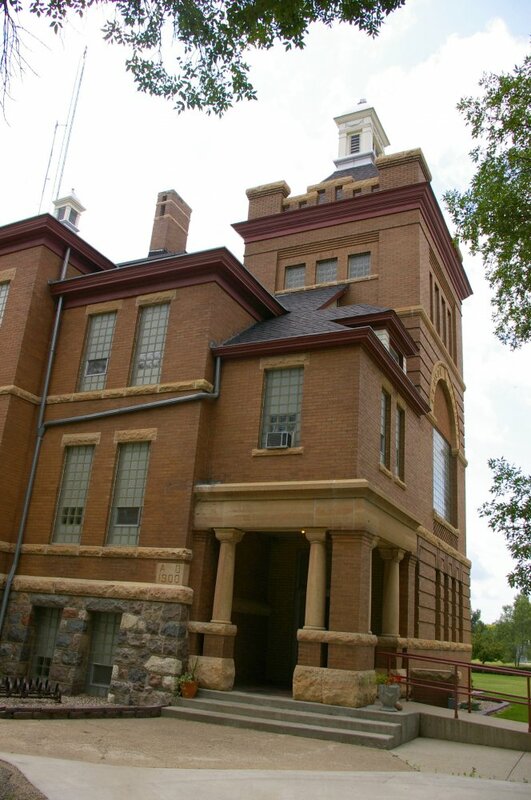 Note: The first courthouse was located in the Arlington Hotel and then a one story courthouse was built in 1888. 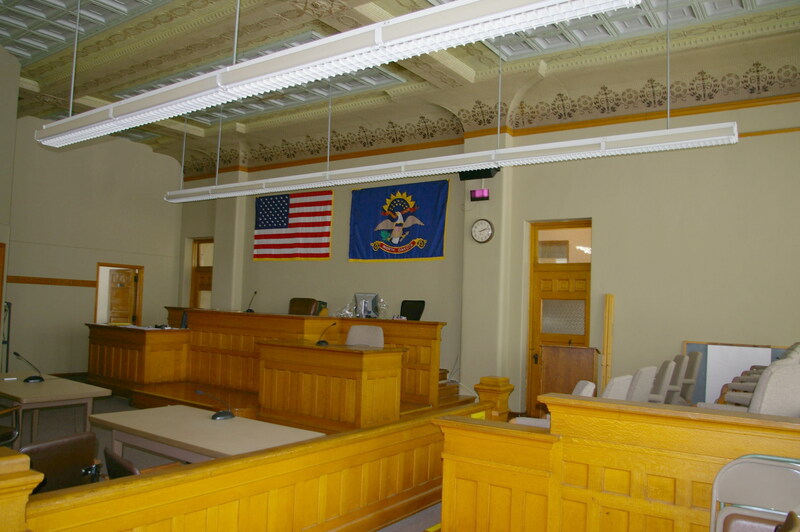 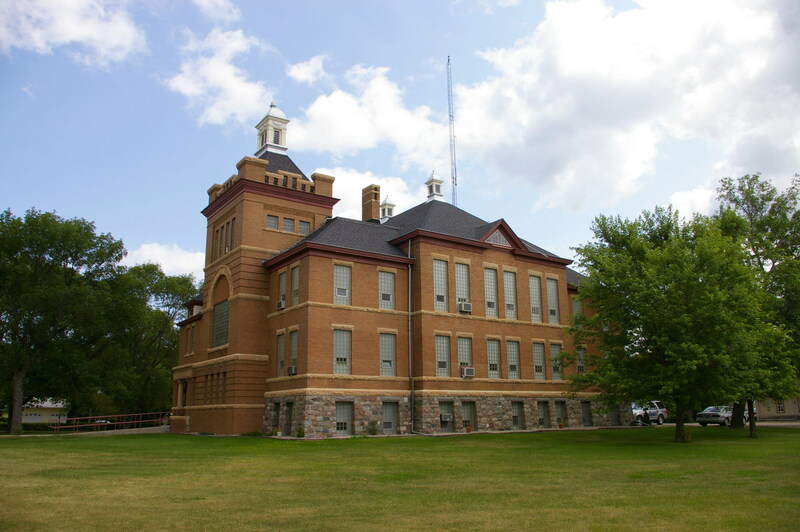 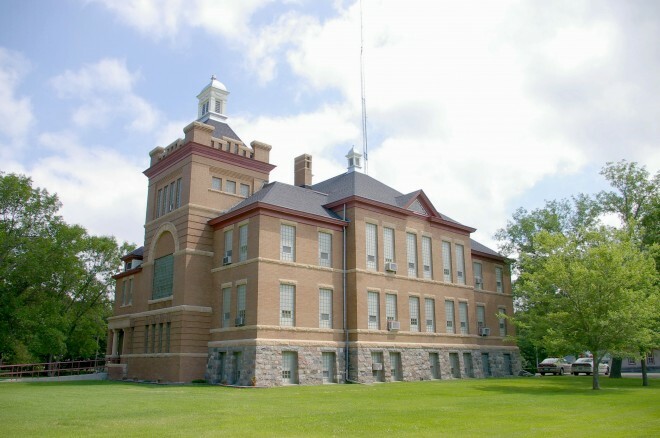 The cost of construction of the present courthouse was $40,000.